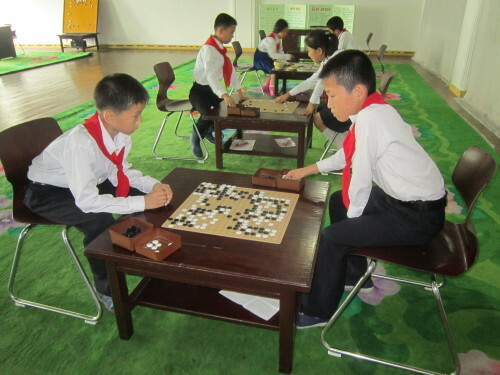 I am very keen on taking the first group of American high school or college students, either a sports team, music group or educational body, to meet their North Korean peers on a personal basis. Young Pioneer Tours is a company of “firsts” in tourism to North Korea, and given their close personal ties with the decision makers in the government’s tourism sector, they can certainly make this happen. 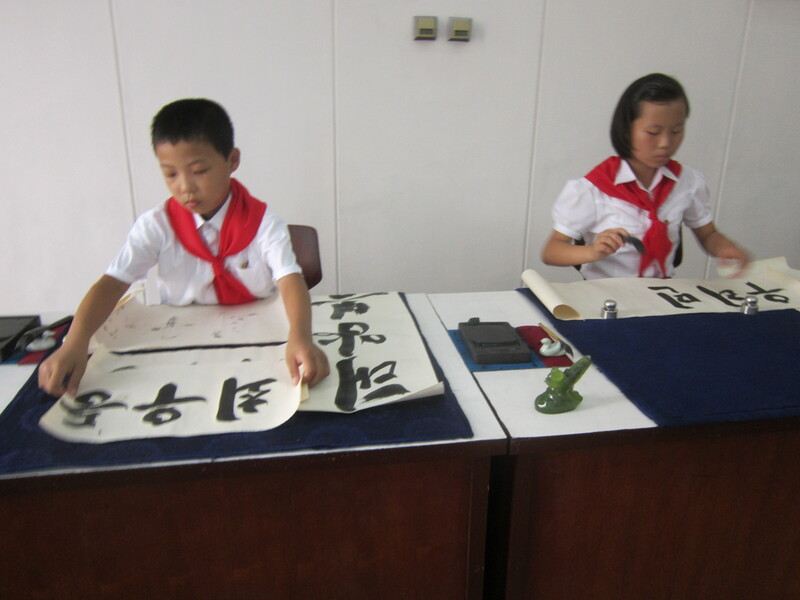 What I have in mind for students is a 10-day tour (5 days in North Korea, 3 days in China, 2 days in transit) during spring break, when international airfare is lower, but of course a tour can be arranged in the summer or any other time of year. There are numerous ways for American and North Korean high school students to become acquainted and establish a foundation of friendship that others can build upon. Our tour of Pyongyang’s main high school gave me some ideas. I also got the unmistakable impression that most of these kids are shy, sweet and very curious about foreigners. What a thrill this would be for students from both countries. Music is a universal language, even when it’s expressed on an exotic stringed instrument called the gayageum, unknown to most Americans but important in Korean culture. Below, a more familiar musical instrument. To honor their foreign guests, several choral groups performed for us on the high school auditorium stage. Like schoolchildren everywhere, those with special talents are encouraged to develop them by participating in extracurricular activities. One thing we didn’t see in our week in North Korea was a sports match, but competitive sports are certainly popular in the country. It gets zero press coverage in America, but the annual Pyongyang marathon, now going into its fourth year, is open to runners from around the world. On a team level, soccer seems to be the number one sport, with volleyball and basketball close behind. 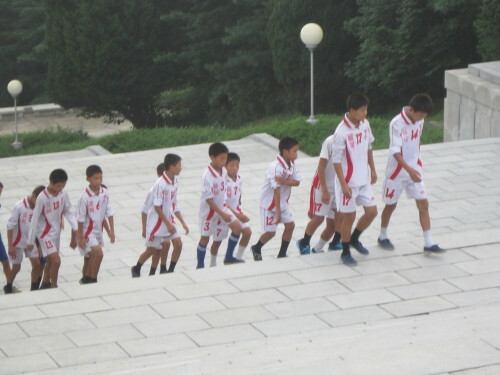 Below, boys in their soccer uniforms follow their teacher to pay respects at the Revolutionary Martyrs’ Cemetery.